I create work that deals with the complexities, legacies, and myths surrounding history. My focus is documenting landscapes that have been altered by past events. Many of these historic sites have been desecrated by modern development, a byproduct of our neglect for our collective history. 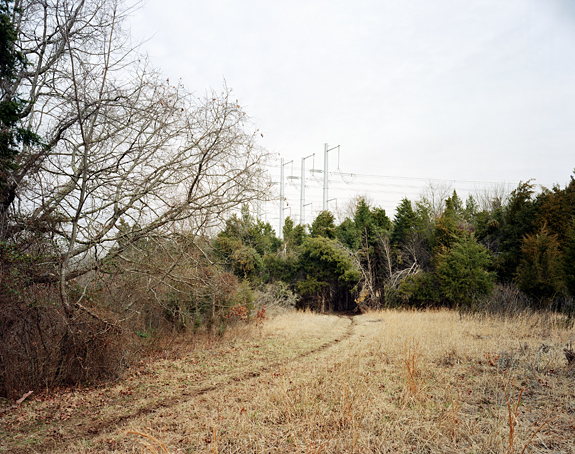 These images, from the series An Independent Line, serve as a critique of Northern Virginia’s unchecked suburban sprawl, which has erased much of the area’s history. The subject of these photographs is the Manassas Gap Railroad line, which would have run from Gainesville to Alexandria but was left incomplete due to an economic downturn in the 1850s, similar to what we are experiencing today. Large sections of the 34-mile-long line survive; however, tract housing, shopping centers, and modern roads have decimated the majority of them.